Rachel Waddingham tells her story of being sectioned multiple times. Rachel Waddingham hears voices. The first time she heard them she was lying in a bed. “You’re so stupid”, “they are watching you”, “it would be much better if you just ended it all”. She was also convinced she was being watched, that she was at the centre of a conspiracy. She ended up dropping out of university and eventually was admitted to a psychiatric unit. “I began to hear the alien speak to me, and that alien told me that I was a murderer, that it could control me, that it was going to make me kill people. It was a hideous terrifying voice.” She was put on medication and it looked like everything was working. “I was less troubled, less troubled by the voices”, she says. After a few weeks Rachel was discharged, but was soon back in again, with a diagnosis of schizophrenia. “I lost all hope. It wasn't so much the voices that kind of risked my life, it was this hopelessness, this sense that I'd never be part of the normal world”. She tried to escape from the ward and was subsequently sectioned. Rachel became what’s called a ‘revolving door patient’, in and out of hospital, sectioned multiple times. Each time she became more and more alarmed by what she saw as the lack of humanity in the system. 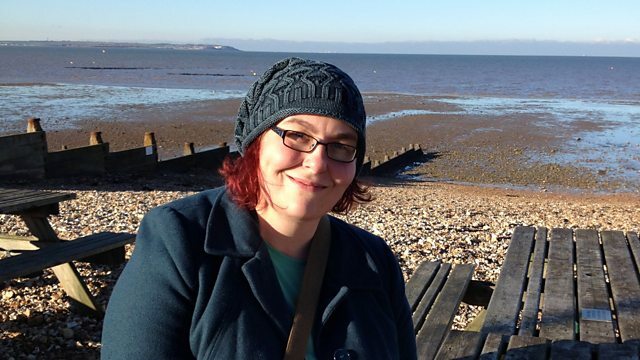 This is Rachel’s story of being sectioned in 21st Century Britain. It’s an intimate and revealing insight into what it’s like to be a ‘revolving door patient’. Talking to a consultant psychiatrist, a psychiatric nurse and the lead author of a recent government review of the Mental Health Act, she challenges the status quo and considers how things might change. Rachel asks why she doesn’t have more rights to decide her own care and treatment, and explores how to break the cycle of the ‘revolving door’ patient. Details of organisations offering information and support with mental health are available at bbc.co.uk/actionline, or you can call for free, at any time to hear recorded information on 08000 155 998.